Learn Italian can be contacted using the form below. Feel free to contact us with any suggestions, comments or ideas, or if you have any difficulties in using our site, or spot an error, or just want to tell us about your Italian learning! 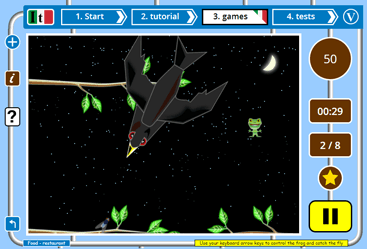 The frog flies - learn Italian with the little frog! ic language ltd is a public company established in 2005.